Where do baby trains come from? Ever wonder where baby trains come from? This question literally keeps me up for hours (not really). Well, the answer may come soon as on Saturday, October 8th, 2011, the Niitsu Rolling Stock Manufacturing Factory will be opening it’s doors to the public! The facility is a massive JR train manufacturing factory located in the southeastern part of Niigata City, Niigata Prefecture. It’s an extremely rare opportunity to enter this factory as it only allows the public in once a year, much like the Wonka Factory, but no golden ticket will be necessary as admission is free. Although there are several JR East-owned factories throughout Eastern Japan, this factory’s main product is the E233-Series train, which if you’ve ever been to Tokyo, or have lived in or around there, odds are you have ridden this series. 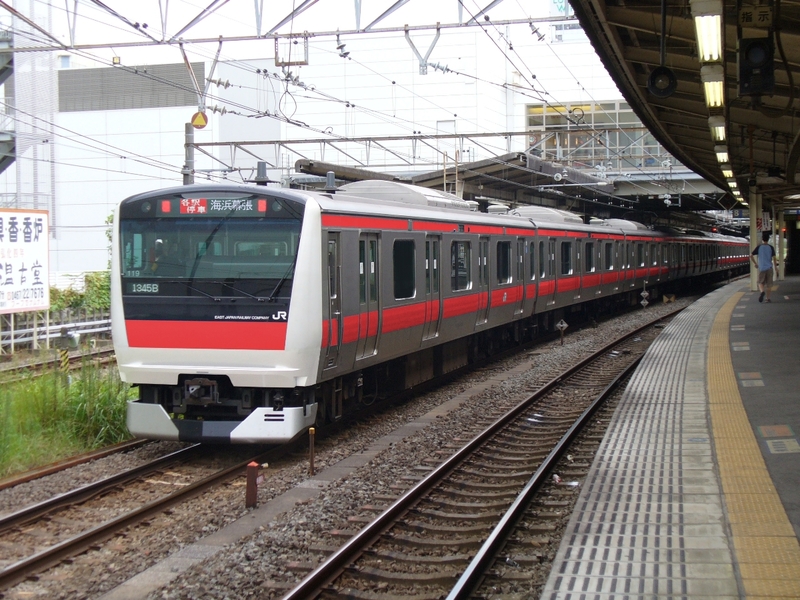 The E233 Series has numerous models serving many lines in and out of Tokyo including the Keihin-Tohoku Line, Keiyo Line, Chuo Line, Negishi Line, Joban Line, and a couple of others, all which are major arteries in the entire Tokyo Metropolitan transportation system. On this day only, visitors to the factory will have the chance to ride an E233 fresh from the factory line itself, right before being shipped off to Tokyo for service. Detailed list of events: Here. Poster of the event: Here. Factory opens at 10:00am and will close at 3:30pm. There’ll be a free shuttle running from Niitsu Station to the factory, or you can choose to walk, which takes about 15 minutes. I’ll be doing live updates via Twitter throughout the day, and will write a report about the factory in the days to follow. Any questions about the factory, about the site, or have a suggestion for something I should cover? Leave a comment!